A sweet and tangy recipe that's perfect for lunch, dinner or even potlucks! So simple and tasty! I must confess. I have a huge obsession with balsamic vinegar. Well, any vinegar really, but especially balsamic. Tonight for a snack, I sliced some grape tomatoes, sprinkled with salt and pepper, and topped with some Trader Joe's Balsamic. Oh so good. Balsamic reduction is even better, but I'll use it right out of the bottle when I don't have extra time. My sister Shantel and I would even drink it by the spoonful. I'm so serious! Haha! 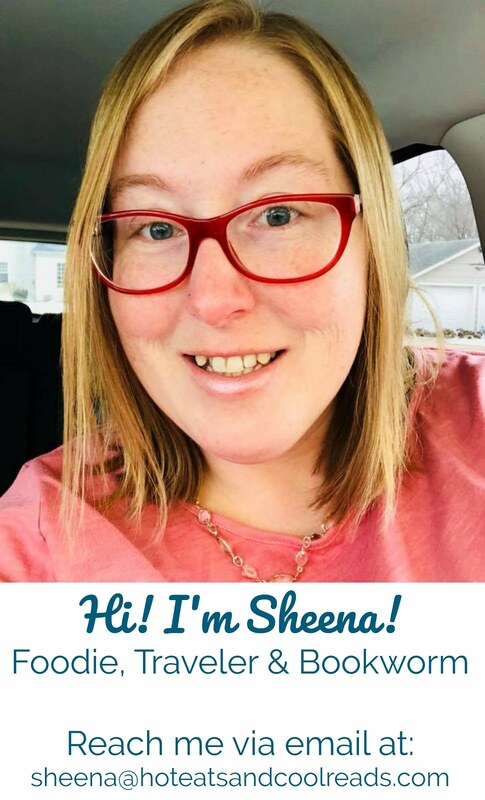 As you know, my name is Sheena. And from above, I have a sister named Shantel. Get the theme... they both start with Sh? Well I also have a sister named Shannon and a brother named Shaun. Crazy parents, right? Every time they got mad at one of us, it was a string of Shushes that came out of their mouth before they came out with the right name. And to top it all off, our last name starts with Sch. What a mouthful all around with all those Sh sounds! It's so funny how sibling and family names end up being so similar sometimes! I just love the deep and sweet flavor a good balsamic provides and it's so versatile. It's great in pastas, salads and even a shredded pork like today's recipe. I don't nearly use my slow cookers enough. I have three of them and for the most part, they sit in my closet collecting dust. I absolutely love using them to make shredded beef, chicken or pork and there's nothing like the delicious smell of something slow cooking all day. This recipe is exceptionally tasty. It was even better leftover. I brought some to work with me the next day and my brother really liked it too. He's kinda hard to please sometimes, so it must've been pretty good! You can eat the pork just shredded with some rice, or serve it in sandwiches like I did. I love the flavor the sharp cheddar adds with the pork and the ciabatta bun holds everything together without getting mushy. It's a great meal and with buying the pork on sale, definitely budget friendly too! Preheat a skillet to high heat. Add olive oil, then place roast in pan. Sear on each side until browned. Remove from pan and place in the slow cooker. Add remaining ingredients to slow cooker and mix to combine. Cook on low for 8 hours, or high for 4 hours. 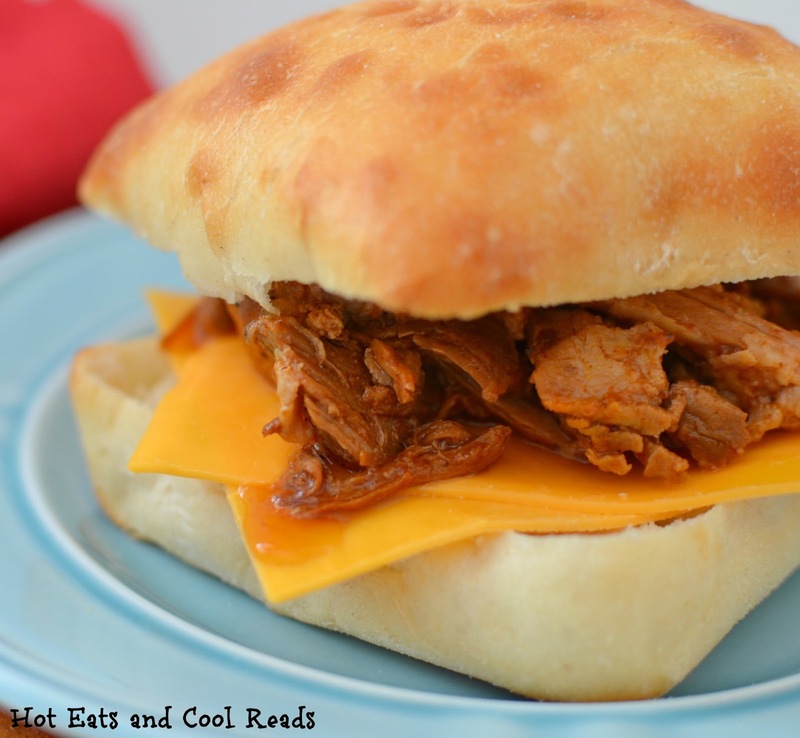 Shred the pork and serve on ciabatta buns with sliced cheddar cheese. Love easy meals that make a TON. :D The kids would love this! These sound terrific and I love the addition of the balsamic vinegar! We love shredded pork! These sound flavor-packed!!! Haha, my parents named all of us with the initials csc. So when we get mail saying C Childs, or C. S. Childs, we are all like: WHYYY!!! I would LOVE to sink my teeth into that sandwich! It looks delicious! 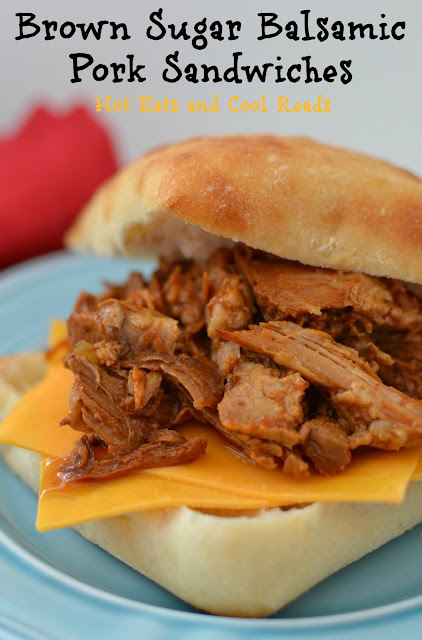 Slow cooker meal FTW - this is a definite crowd pleaser! I am ALL about balsamic vinegar too! :) It is the best of the vinegars, lol. This pork sounds amazing, and I love that it is made in the slow cooker.